I had arrived in Selfoss with rain and low cloud. What more to do than go down to the river and film it. It was very turbulent with glacier melt pouring down – ideal for a slit scan. 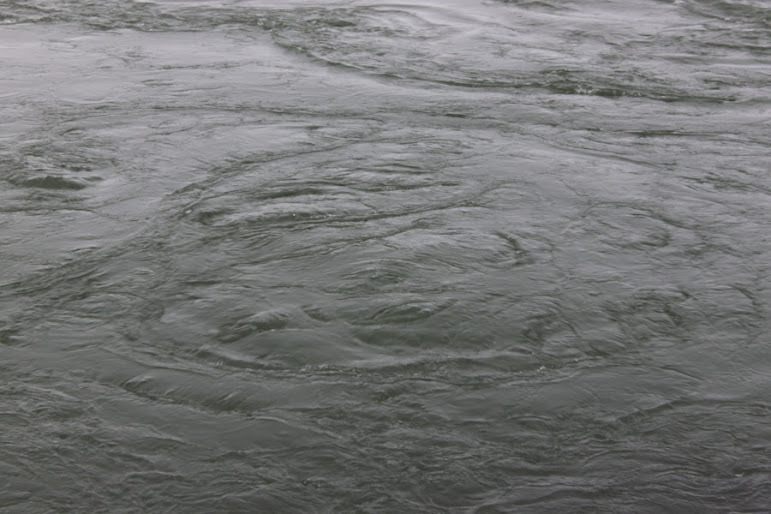 What we see here are these great big bubbles of turbulence rising out of the river – the horizontal lines that looks a bit like a cat’s tail in the lower half of the slit scan are the expanding bubbles. Hopefully the weather’s going to be better tomorrow!